Gibson Wealth Management (GWM), which operates under First Financial Equity Corporation (FFEC), was founded in 2009 on principals of fiduciary responsibility and comprehensive service. GWM provides comprehensive wealth management services including investment strategies, cash management accounts, risk management, and widely accepted financial planning strategies. Using these strategies, affluent families may be able to grow and preserve their wealth across generations. Originally from Dalton, GA, Brandon Gibson, CERTIFIED FINANCIAL PLANNER™, moved to Texas to attend Rice University, where he earned his Bachelor’s Degree in Music. After completing his Master’s Degree in Music at Southern Methodist University in Dallas, he began his career in the financial services industry with American Express Financial Advisors in 2003. During his tenure at American Express (now Ameriprise Financial), he earned the Fast Start Award, First Year Achiever’s Award, Second Year Achiever’s Award, and President’s Service Award. 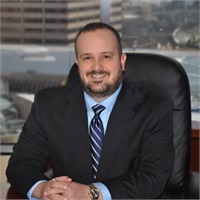 Brandon joined Chase Investment Services in 2005, earning the Rookie of the Year award and serving investment clients at two of the DFW area’s largest Chase branches. In 2009, Brandon went into private practice, joining FFEC and founding GWM. Brandon Gibson is also an opera singer. He often sings professionally in the DFW area and elsewhere in opera, concert, chamber, and sacred music venues. His wife, Brooke, is a professional opera singer, as well. They have a beautiful daughter named Lily Grace who keeps them on their toes. Brandon and Brooke attend Lovers Lane United Methodist Church, where they sing in the choir together.